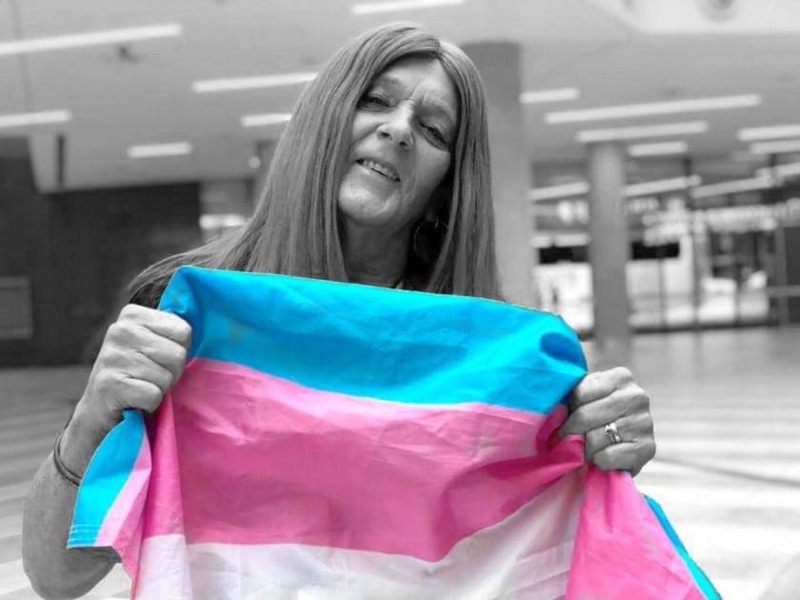 Kinfolk involves working with older Trans and Gender Diverse (TGD) Elders (65years+) and service providers to improve TGD Elder’s choice and control over gender identity and expression. In particular, it will address the restriction of gender expression by family members in ways that preserve family relationships. 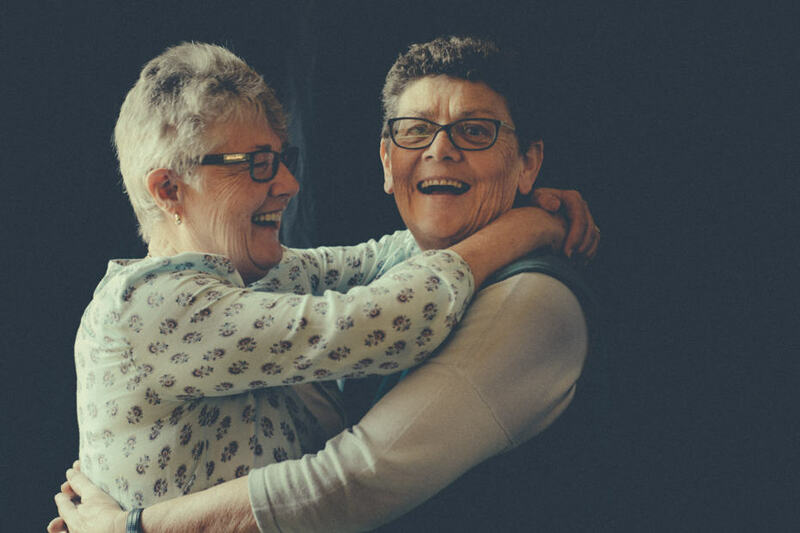 Documenting difficulties in ways that protect the identities of LGBTI elders and is providing information to LGBTI elders on services available. Supporting Midsumma Carnival in providing a Chill Zone for LGBTI Elders (people of all ages were welcome). 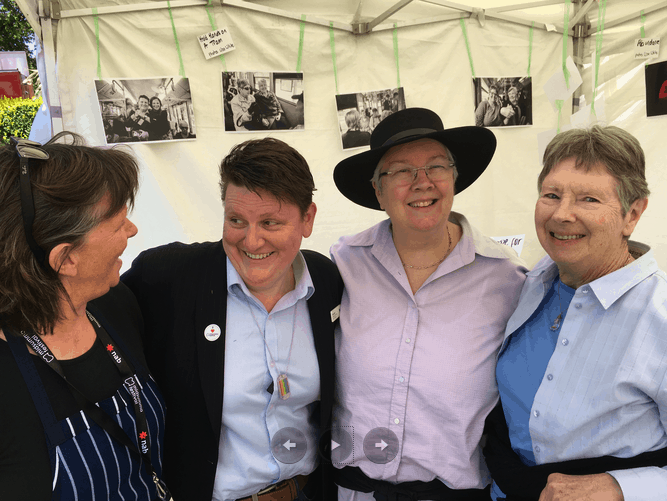 Some LGBTI Elders came to Carnival for the first time – because they had this space as home base. 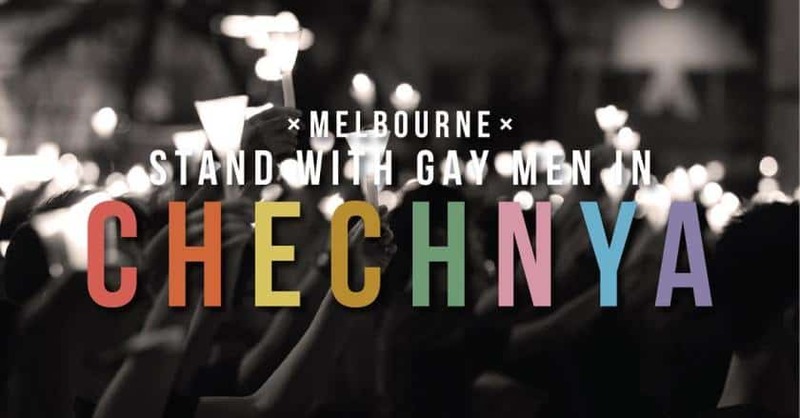 Vigil in Solidarity sendig the message to gay and bisexual men in Chechnya that we care. 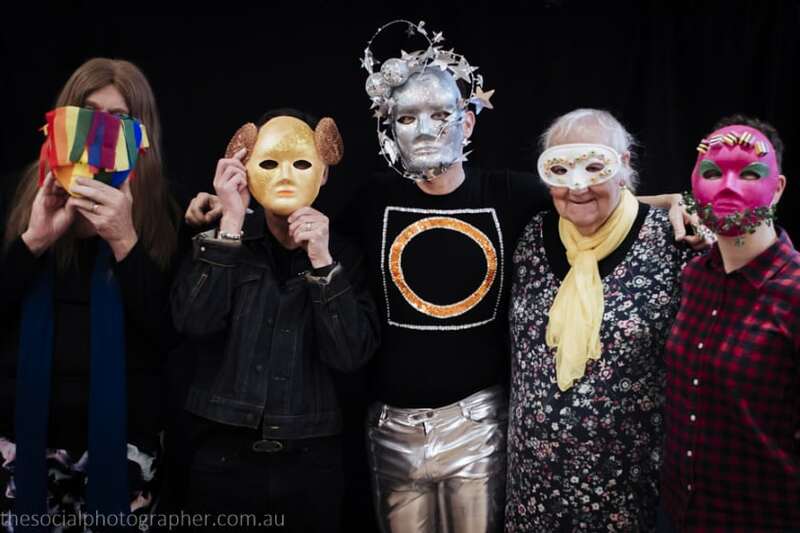 Finding strong is a collaboration between Alice’s Garage and Malloy, an 83 yo lesbian from Adelaide. Malloy draws on her experiences of sexuality based discrimination (including 6 years of attempted ‘conversion therapies’ in her twenties) to help build cultural safety in services and the broader community. Building Pride in our LGBTIQ identities involving workshops where Pride is discussed and Pride masks are made. 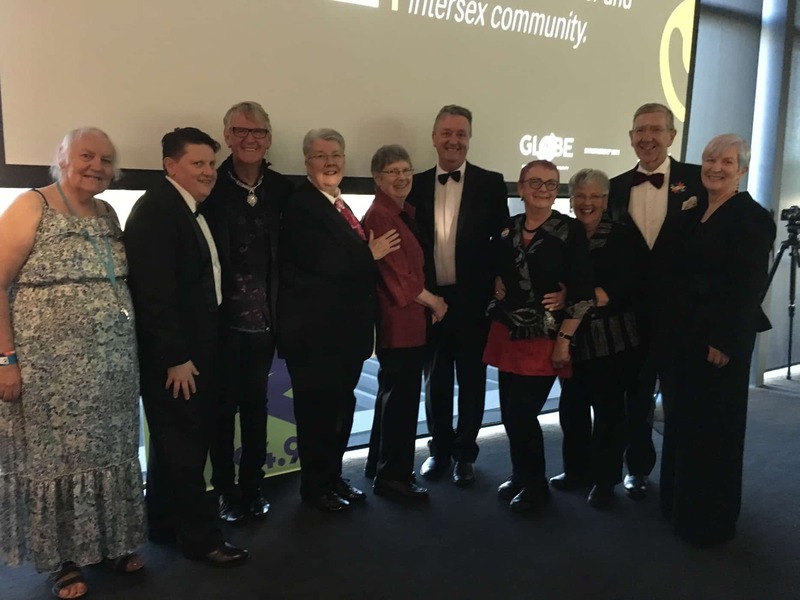 The Minister for Equality, Martin Foley invited a group of LGBTI Elders to be his guests at the GLOBE Awards. The smiles say everything else that needs to be said. The Strong House is a place for sharing stories about Pride and getting through tough times. 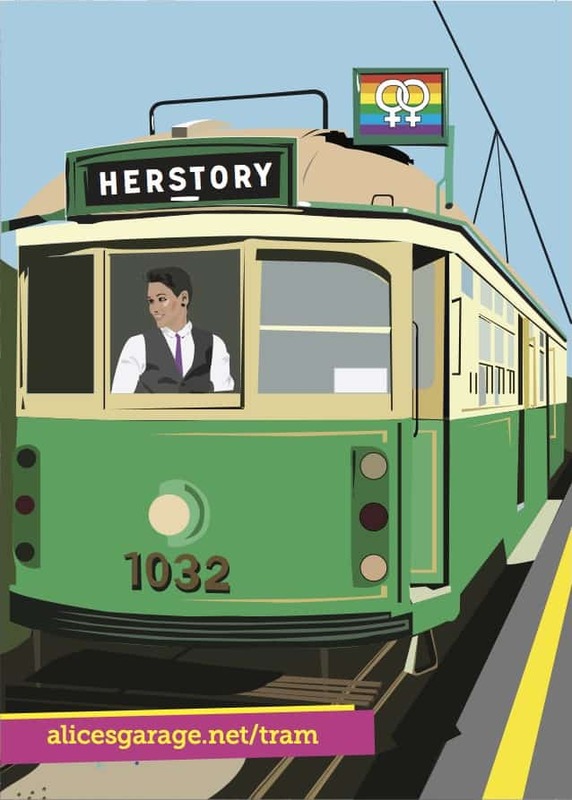 Hold Hands on a Tram – or ‘Tram’ was launched in July 2017 to recognise historical experiences of lesbophobia and the resistance that got older lesbians through this lesbophobia. 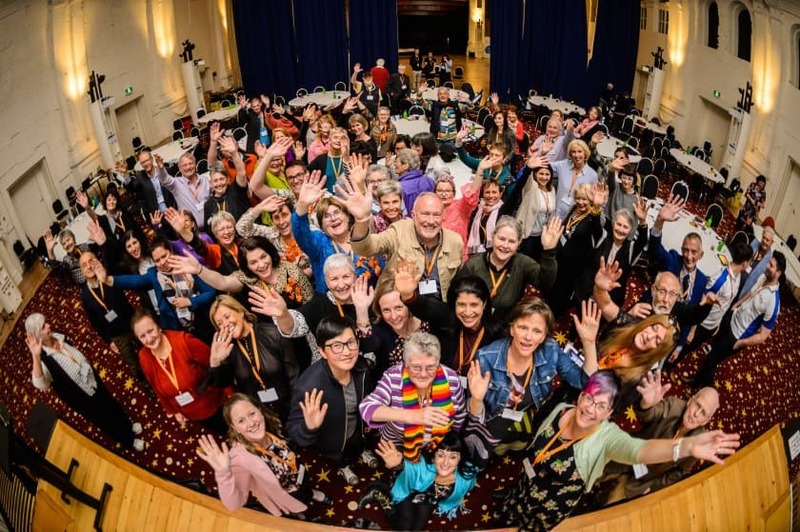 Celebrating the diversity of LBTI women, exploring the characteristics of beauty, in all the shapes, sizes, colours, abilities and ages that women are. Celebrating the lives and loves of three lesbian couples who have collectively been together for almost 100 years. The women have much to teach us about love. 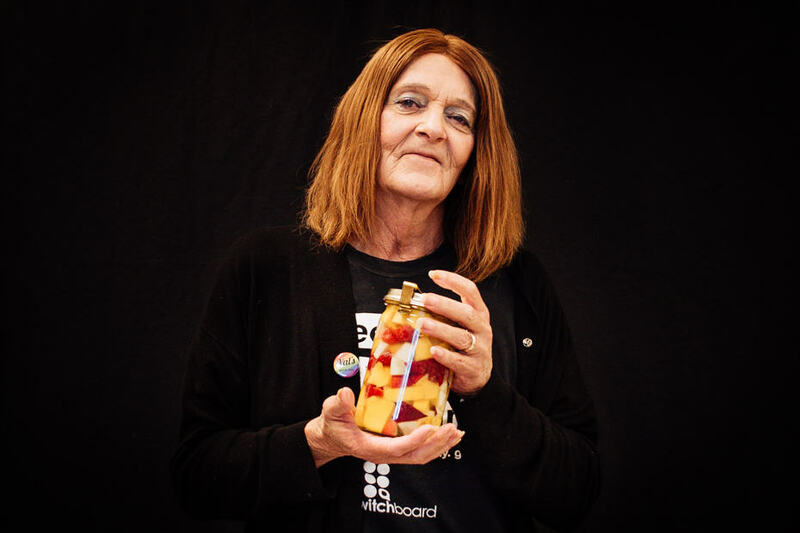 Abundance is a story pantry affirming Transgender and Gender Diverse (TGD) people as they age. 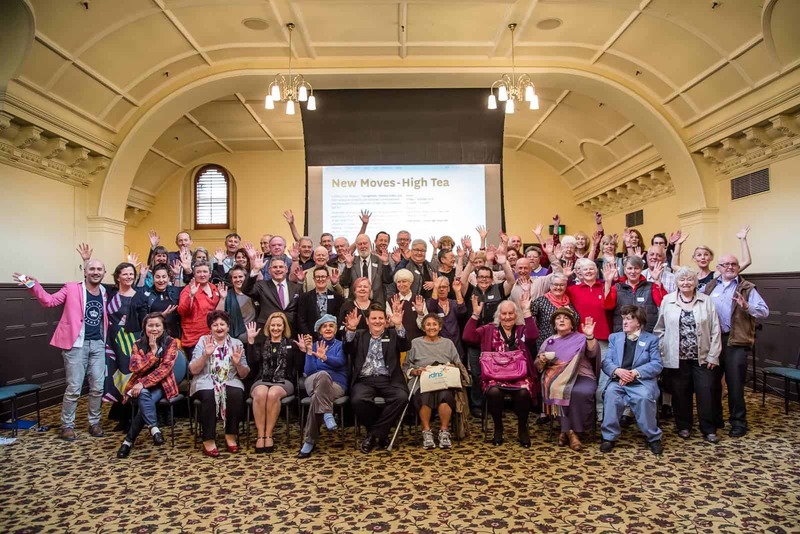 The project was inspired by recent research on TGD elders experiences of ageing and abuse. 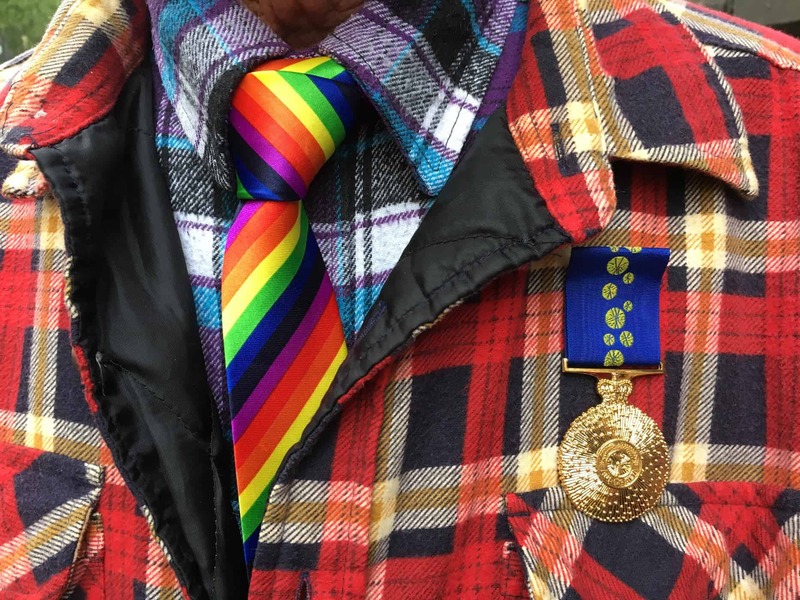 The Governor of Victoria invited over 800 community members to Government House to recognise International Day Against LGBTIQphobia. 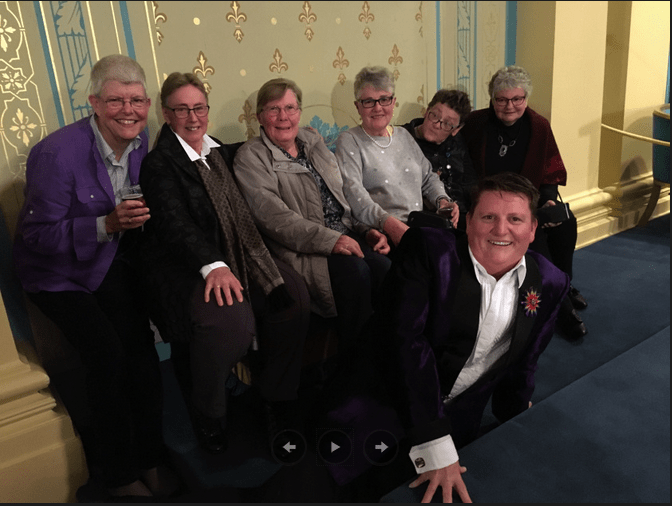 Alice’s Garage helped send invitation out to 130 LGBTI Elders – and we loved bearing witness to the delight of LGBTI Elders being in Government House. 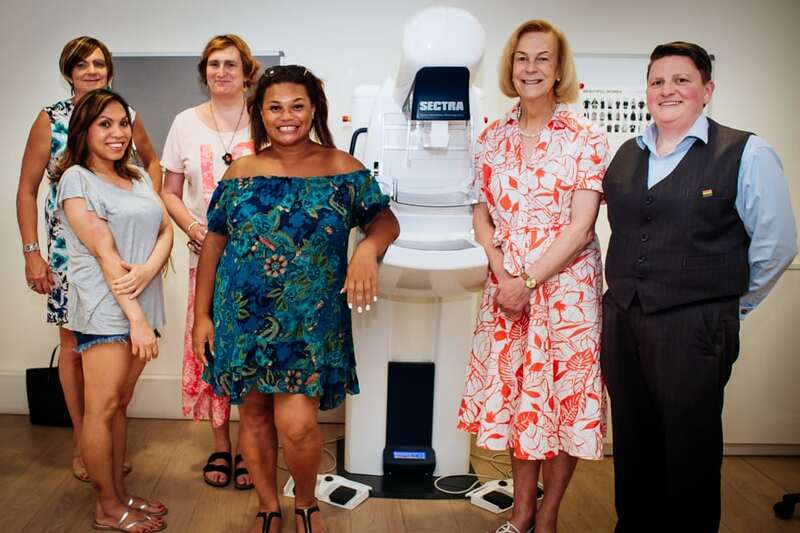 Trans and Gender Diverse Inclusive BreastScreening/Chest Care (Tscreen) is a project being undertaken by BreastScreen Victoria to ensure their services are inclusive of Trans and Gender Diverse (TGD) people. ettings. 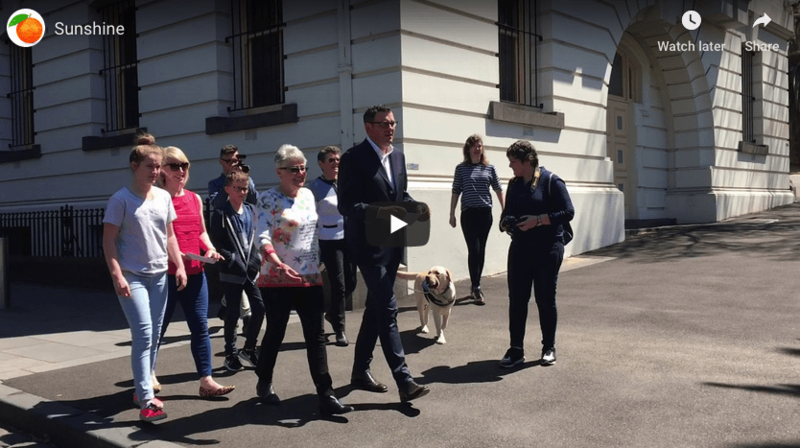 In August 2018, LGBTIQ Victorians and their allies were invited to a celebration of our strengths and our allies that helped us get through the Marriage Equality Postal Vote.gs.